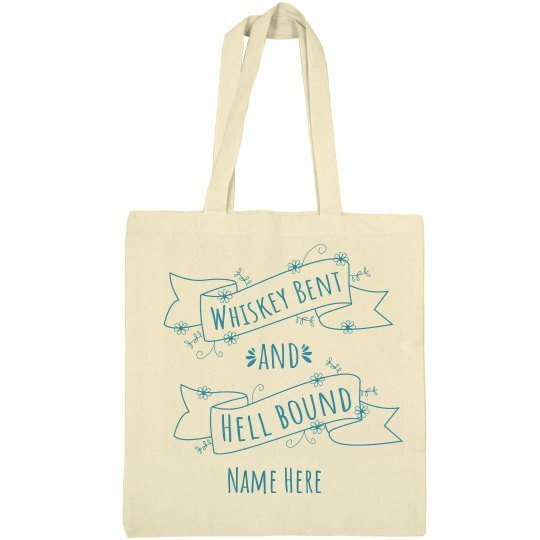 Snag this super cute canvas tote bag for all of the ladies in your bridal party! It will be the perfect thing to carry around at your bachelorette bash. Personalize it and make it unique with custom text. Whiskey bent and hell bound!